We all know that giving your subscribers a "reason" (and a definitive deadline) to do something encourages people to take action! Next Tuesday is Valentine's Day, so why not come up with a special promotion around the holiday. Or if you're a restaurant looking to fill up your reservations in advance, it's a no brainer! But what if you don't fit into a typical Valentine's niche? Should you ignore the day or acknowledge it in your marketing? You can still take advantage of the day with a "sweet" deal or simply wish your audience a Happy Valentine's Day. Consider changing up your layout/newsletter masthead for the week to acknowledge on the holiday (Think Google and how they update their banner on special events and holidays). Here are just a few others next week that you can have some fun with! For over a decade Heather Seitz used email marketing to build successful companies and had to solve the biggest barrier to consistent profitability: deliverability. Today, she is the Co-Founder and CEO of Email Delivered. 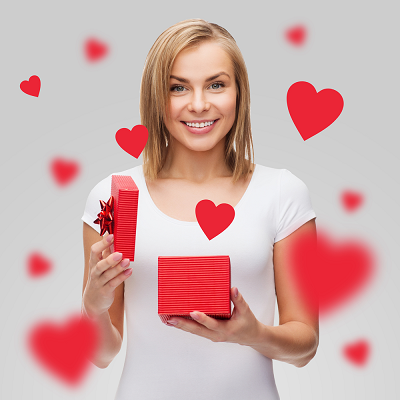 Here are some tips for creating promos this Valentine's day http://www.emaildelivered.com/valentines-day-promos/. ‎ Remember to sign up for the FREE Email Delivered Pulse newsletter for articles, tips, and recommended resources for email marketers.